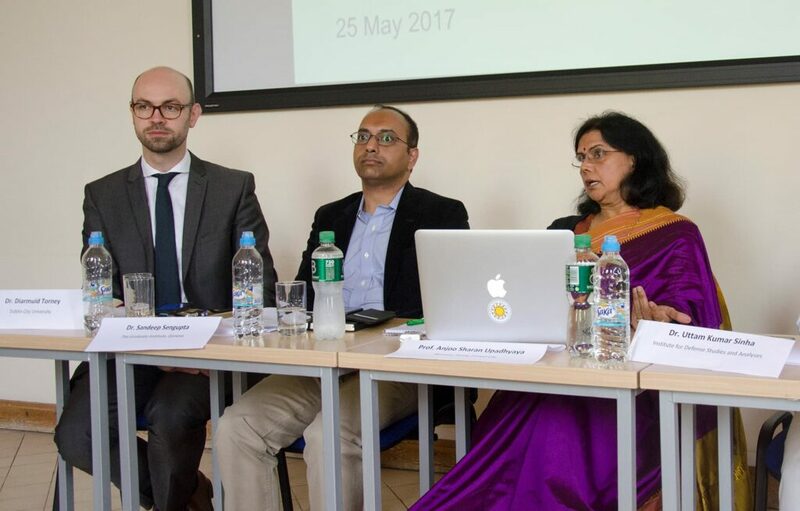 The Ireland India Institute at Dublin City University hosted a major international conference to discuss how to deepen collaboration on climate change between the EU and India. The conference was addressed by high level officials from India and the EU, including: Jayant Mauskar, a member of the Indian Prime Minister’s Council on Climate Change and Jacob Werksman, Principal Advisor for international climate policy at the European Commission. The conference took place on the eve of the G7 summit in Italy, the first such gathering of world leaders since Donald Trump’s election. Climate change was high on the agenda, with the world awaiting a decision from the Trump administration on whether the US would remain a party to the landmark Paris Agreement on climate change, concluded by nearly 200 countries in December 2015. Against this backdrop, a range of Indian and European experts attending the conference discussed European and Indian approaches to climate change and sustainable development, and how to increase EU-India climate collaboration in this new era. The conference was opened by Prof. Brian MacCraith, President of DCU, Prof. Girish Chandra Tripathi, Vice Chancellor of Banaras Hindu University, and Prof. Eileen Connolly, Director of the Ireland India Institute. The conference received financial support from the Environmental Protection Agency.